Our range of products include loan management software, loan servicing software, hire purchase loan software, gold loan software, vehicle loan software and mortgage loan software. • Loan Inn/Out facilityCyrus is a renowned loan management software provider company. 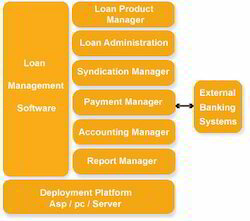 Loan Management Software usable for financial companies. By this software, you can manage credit and debit transaction and many more financial tasks. We design standard loan management software for business ahead. 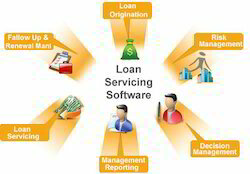 We offer Loan Servicing Software. This software is developed utilizing the reliable software platform. Our service is recognized in the market for their timely completion and affordable prices. Due to high demand, we develop this software in varied forms that meet client demands. • Installment Plan Cyrus is a leading NBFC's software provider in India. Our comprehensive software application designed for NBFCs and Micro Finance companies, the software has been developed from scratch to cover the entire working of a Company/Firm involved in Hire Purchase and related Business. Our focus is on the management and control of business apart from keeping accounts. Hire Purchase Software conforms to your business and helps you operate in the most efficient manner possible. This means bigger profits for your current business and the ability to expand into other profitable loan product lines. 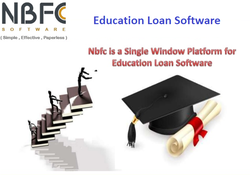 The software also generates various types of reports that are useful for a gold loan using this software.Features:Payment TrackingTop Up LoanLoan SettlementCyrus is a leading NBFC's software provider in India. Our comprehensive software application designed for NBFCs and Micro Finance companies, the software has been developed from scratch to cover the entire working of a Company/Firm involved in Hire Purchase and related Business. Our focus being on the management and control of business apart from keeping accounts. 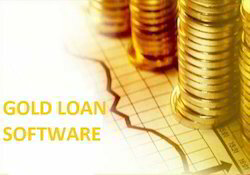 The Gold Loan Software is specially designed developed for Jewelers Helpful to automates Calculate the entire loan processing and tracking of premiums, It’s a powerful and easy to use software that allows you to calculate, analyze and optimize your gold loan schedules. Our offered service is highly reliable & control varied set of lead processes through configurable workflows. It offers customers a facility of remote and instant account opening, transaction management more. Vehicle Loan Software- Its a Complete automate solution for your vehicle finance/consumer product and finance management Companies, Its an helpful in managing all vehicle purchasing loans,and maintain Information includes customer and guarantor, as well as current status, letters, financial details, payment schedule, transactions, photo of the client and notes and generate notification and Send SMS to customers directly from software to remind the Interest Due Date or for renewal of auto loan.All information is easily accessed and clearly presented By Using Vehicle Loan Software, All Types of Vehicle Loan Software facility other extra functionality developed by Cyrus TechnoEdge, and provide very reasonable cost and various types of HP Receipts (Regular Receipts, Foreclose Receipts, Re Loan Receipts). Mortgage Loan Softwares are flexible sufficient furnish to the requirements of all types of mortgage loan companies and helps them to locate through their business in an instant. Mortgage Loan Software correlated to the Home Loan Software, Mortgage planner has defined the technique for a mortgage system should be created. Cyrus Technoedge provides more powerful and modified loan servicing software solution for your business.Cyrus is a leading NBFC's software provider in India. Our comprehensive software application designed for NBFCs and Micro Finance companies, the software has been developed from scratch to cover the entire working of a Company/Firm involved in Hire Purchase and related Business. Our focus is on the management and control of business apart from keeping accounts. Our Microfinance Loan Software with RD & FD with the highest level of security is widely used in India and we provide comprehensive technical support and maintenance program for Micro Finance Software and other loan software. Our Developed Software products have unlimited feature, we also customized software products according to customer plan need. Just go for one of our best microfinance software products and the success will be all yours. Cyrus is a leading NBFC's software provider in India. Our comprehensive software application designed for NBFCs and Micro Finance companies, the software has been developed from scratch to cover the entire working of a Company/Firm involved in Hire Purchase and related Business. Our focus is on the management and control of business apart from keeping accounts. Cyrus is offering an education loan software for the education lending system, Our Educational loan management software is perfect for any educational organizations, large or small, public or private and tracking the information like degree, stop/start date, resident status, demographic information or any other special information that you may need to stay on top of for tracking and reporting purposes.Brand:NBFC Software Cyrus is a leading NBFC's software provider in India. Our comprehensive software application designed for NBFCs and Micro Finance companies, the software has been developed from scratch to cover the entire working of a Company/Firm involved in Hire Purchase and related Business. Our focus being on the management and control of business apart from keeping accounts. Cyrus is a leading NBFC's software provider in India. Our comprehensive software application designed for NBFCs and Micro Finance companies, the software has been developed from scratch to cover the entire working of a Company/Firm involved in Hire Purchase and related Business. Our focus is on the management and control of business apart from keeping accounts. Agriculture business has unique requirements together with the capability to service loans featuring recurring repayment options. Considerable knowledge of the nature and objectives of the Agricultural and Small Business Development Authority. 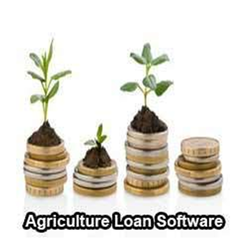 The NBFC Software is an excellent solution for agriculture business. Our Agriculture Loan Software allows you to create custom, short-term loan programs with irregular loan payment schedules. It’s wonderful for recurring loan programs that require payments for certain times and then no payments during the offseason. Cyrus can also easily set up to make payments, multi-step rates, and loans with default rates.